The dish as it first arrives, originally uploaded by Camemberu. Old Airport Road Food Centre has re-opened on July 1! I think it's safe to venture there now (to avoid opening crowds as well as give the hawkers time to adjust to their new place). One place I had to revisit was Nam Sing's Hokkien Fried Mee. I deliberately went at an off-peak hour and was rewarded with my plate of well-fried noodles drenched in stock. Good char quality, originally uploaded by Camemberu. My reason for coming back to this place was to see if I could like it a second time round. My first experience of Nam Sing had actually been quite disappointing. For all its hype, I found it dry and almost tasteless compared to other versions. 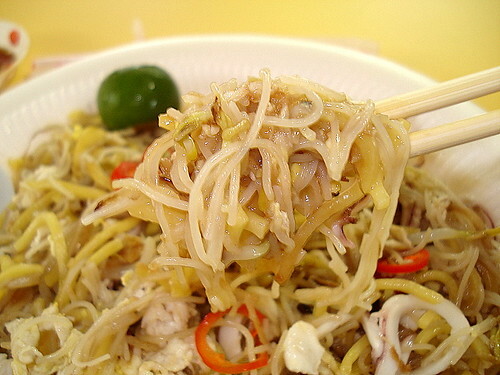 I slowly learned that this is not your run-of-the-mill Hokkien mee and its taste is much more delicate. For one thing, there's no pork or lard used! The umami flavour comes solely from seafood. The gravy is thin, not gooey. It's fried with thinner bee hoon (rice vermicelli) and does not come with sambal but sliced chili in soy sauce instead. The noodles soak up the delicious gravy, originally uploaded by Camemberu. 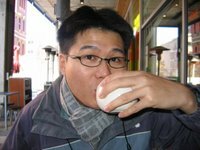 I tried different ways of eating the noodles. With and without chili slices, or a dab of soy (not much difference). The lime adds a sweetish tang but it's best not to overdo it. I also let part of the noodles sit awhile to soak up the gravy, to see if it becomes more flavourful. But that also cooled it a few notches. Hmm, final conclusion - it's still best eaten hot. Just as tasty. 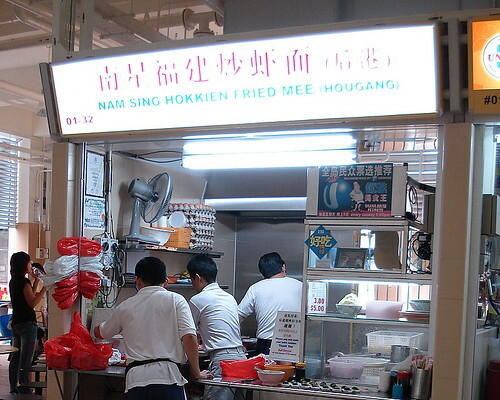 Nam Sing Hokkien Fried Mee, originally uploaded by Camemberu. 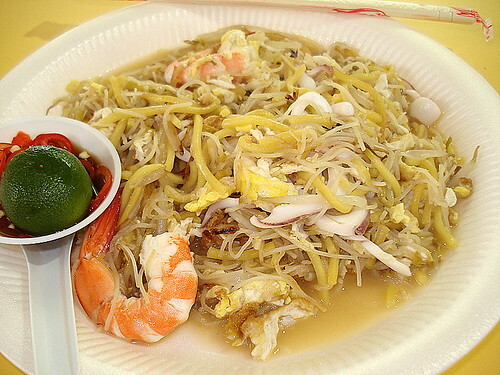 So all in all, this is a Hokkien mee that has its own personality. It can be enjoyable, even if somewhat of an acquired taste. 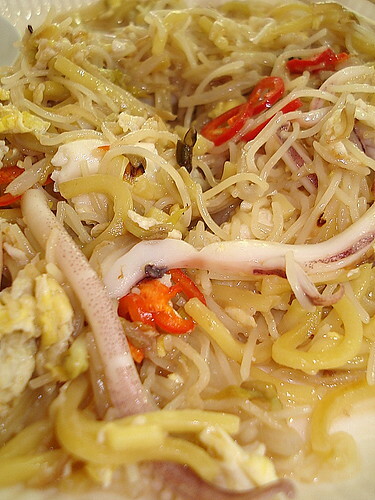 The noodles seem quite light and you don't have a guilty jelak (satiated) feeling afterwards. But I still can't help thinking something is a little missing. Maybe I just love my crispy pork lard bits a little too much. oh my god!! l really feel like coming home right now!